COSY WINGS Our COSY brand is trusted by thousands of customers and electronics goods dealers all over India for high quality products. 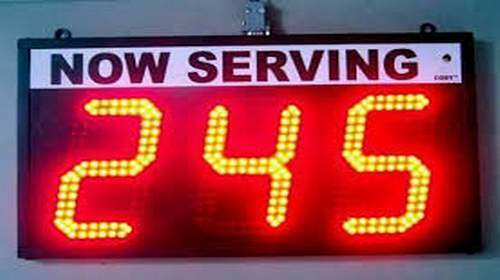 Digital LED Stopwatch Clocks, Token Number Displays / Queue Management Systems, Sports Timing Equipment, Race Clocks, LED Sports Clock, Time & Date Clock. Jumbo High bright RED LED digits for outdoors daylight viewing visible from more than 100 feet distance . 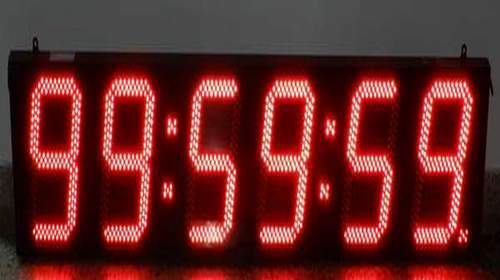 Normal Clock function with daily alarm .Recommended for : Sports and Fitness Centers, Labs , Schools & Factories etc .Selectable 12 or 24 Hour Display Format.Programmable Stopwatch can be set to start counting up or down from any preset time. Preset time remains in memory .Two selectable times : 99:59:59 (HH:MM:SS) or 99:59:99 (MM:SS: 100ths of sec .) Internal Battery backup maintains time during a power failure ,the clock will start to display accurate time as soon as the power is restored. (back up is for normal clock function only). 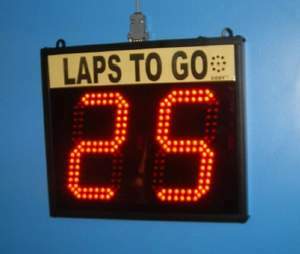 Simple operation and easy to install.These displays can also be efficiently used in different sports as score board and laps counters etc. Sounds bell with every change of new number. 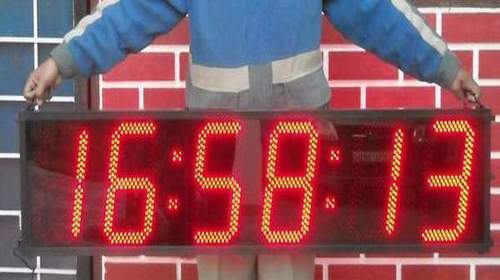 Sports Timing Equipment, Race Clocks, LED Sports Clock.All systems are manufactured with user friendly features and are very easy to install. Simple operation and easy to install. Large size 4 inches high LED Displays. Optional FND displays in 2.3 " or 4" characters at extra cost. Pleasant musical chimes. Robust , heavy duty ,sleek designs in ABS plastic molded cabinets. Feather touch key boards. Multi-Counter displays and custom designed systems for efficient Q-management. Option to automatically serially increase or decrease numbers by pressing a single key. Largest range of Token Displays in India. Serving successfully to many Govt. departments , banks, Hospitals ,doctors , Restaurants, Canteens etc. in India. All systems are fully connectorized so that any ordinary person can install the system within minutes. Attractive High bright RED LED Characters. Selectable 12 or 24 Hour Display Format. ( Optional : 99 Hours stopwatch HH:MM:SS can also be ordered at same price , customers should inform us at the time of order for required stopwatch time duration. ) 12VDC socket for use in automobiles etc..
4 digit counter to count up to 9999. 4" or 6" High bright RED LED digits for indoor / outdoor use . Connect 12V DC power adapter to provide power to the display .Connect potential free Input and reset pulse contactors at respective terminals. No electrical pulses should be applied at these terminals .Reset pulse will make the display to show 0000. Now the display is ready to accept increment pulses. Display can be successfully connected to receive up to 10 pulses per second.